Grayling sits on the busy I-75 corridor, little more than an hour south of the Mackinac Bridge. It is a true sanctuary for anyone who loves the outdoors. Seventy percent of the land in Crawford County is publically owned, allowing open access to literally thousands of acres of forests. Surrounded by beautiful inland lakes, this small community of 1,840 is on the verge of a growth spurt, including major expansion of Kirtland Community College’s Grayling campus. Grayling’s projected job growth over the next 10 years is 33 percent. Grayling is a great place to raise a family with good schools and affordable housing. You are within easy driving distance to larger cities while living in a close-knit supportive community. Grayling is also home to Camp Grayling, the largest National Guard training center in the country. Thousands of military and law enforcement personnel train here year-round. 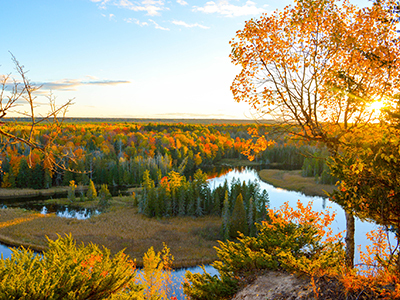 Just east of Grayling is a nine-mile stretch of the Au Sable River known as “the Holy Water.” It is home to some of the best fly fishing in the Midwest – a mecca for the fly fishing world. Learn more about life in Grayling. Grayling Hospital offers a friendly, collaborative work environment where you will feel like an important part of the team, no matter what role you play. Colleagues support one another in their work and leadership engages with frontline staff, resulting in great care for patients. Forward thinking throughout the hospital makes it adaptable to change and staff takes responsibility for all outcomes. The hospital also supports staff by offering many opportunities for professional growth. 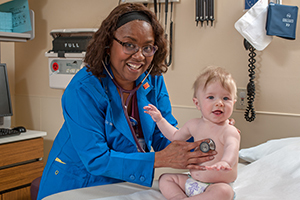 Grayling Hospital is one of the best rural hospitals in Michigan for excellent patient outcomes. We have many additional affiliation agreements with other colleges, regularly taking students throughout the year.